In Part 1 – Introductions and Q & A’s, we asks three questions in order to see whether or not you should hire a HUD 203k Consultant for assisting you in a Streamline 203k mortgage? The first question was can the mortgages do his/her inspections and/or repairs? The second question was what are the mortgagee’s requirements for examining the contractor bids? For paying the contractor prior to beginning construction? For inspections of the work? The last question is do you still need a 203K Consultant? Is there a maximum mortgage amount worksheet that must be used? Form HUD-92700, 203(k) Maximum Mortgage Worksheet must be used to calculate the mortgage amount. Also, the appraiser must provide an after-improved value since 110% of that amount is used in calculating the maximum mortgage. Architectural and consultant fees, line items 6 and 7 of Section B of the worksheet are not applicable to the Streamlined (k) program. For Item 3 of Section D, please refer to handbook HUD-4155.1 REV-5, paragraph 1-7 which provides the various maximum loan-to-value ratios. Expenses that may be included in the total amount of the improvements, not to exceed the $35,000 limit, are inspection fees, building and other permits, the supplemental origination fee, title update costs and the amount of any contingency reserve required by the mortgagee. Streamlined (k) program. The amounts permissible under the EEM program—as well as the qualifying requirements—are in addition to those available under the Streamlined (k) program and thus, combined may exceed the $35,000 Streamlined (k) repair cost limit. Both the cost of EEM improvements as well as weatherization items (not to exceed $2,000) may be added to the total FHA loan amount. What are the “closeout requirements” under the Streamlined (k) program? The mortgagee electronically certifies the closeout via the FHA Connection and is not required to forward the closeout documents to FHA. As with all FHA case binders, the originator must retain the file, either in hard copy or electronic format, for two years following endorsement of the mortgage. Proper close-out means that the mortgagee has certified that it has reviewed and verified for accuracy of the following without limitations: mortgagor’s acknowledgement of satisfactory completion, evidence of release of lien(s), mortgagee’s inspection report(s), change orders, mortgagee accounting of the escrow funds, and record of disbursements. Are there specific data entry requirements under the Streamlined (k) program? The mortgagee must enter “203KS” in the 203(k) Consultant ID field in the Case Number Assignment Screen (and the Insurance Application Screen) to identify the Streamlined (k) product and enter the amount of the repairs in the Repair Escrow Amount field in the Insurance Application Screen. In the event that the mortgagee had originally begun processing the case as a purchase mortgage without repairs, the mortgagee should update the existing case data in the Case Number Assignment screen, changing the ADP Code to a valid 203(k) ADP Code and the Construction Code to Substantial Rehabilitation. If the Streamlined (k) mortgage is for a refinance transaction, please enter “substantial rehabilitation” in the drop down screen labeled “Construction Code” and “Not Streamlined” (the refinance type) in the drop down screen labeled “All Refinances” in the Case Number Assignment Screen in FHA Connection. Result in work not starting within 30 days after loan closing; or cause the mortgagor to be displaced from the property for more than 30 days during the time the rehabilitation work is being conducted. 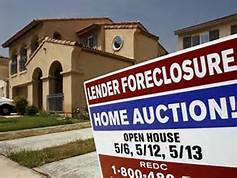 (FHA anticipates that, in a typical case, the mortgagor would be able to occupy the property after mortgage loan closing). Okay, okay, Part 3 will answer the question do you still need a 203K Consultant to do a 203K Streamline loan (you may be surprise by the answer)?